The Montreal Police Association Museum, the Bank of Montreal Museum, the Printing Museum of Quebec, Just for Laughs Museum. Never heard of them? Neither have most Montrealers or visitors to Montreal. The city has dozens of "little" museums-undiscovered gems to discover. 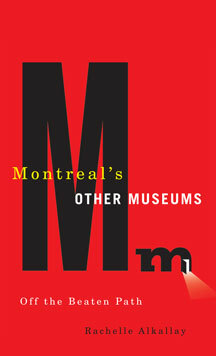 Montreal's Other Museums is an illustrated user-friendly pocket guide to an intriguing group of institutions specializing in textiles, medicine, humour, religion, the military, rare books, banking, ecology, recording and broadcasting, local history, printing, and other diverse subjects. Boutiques and the availability of food, is also indicated. Includes listings by subject and neighbourhood. Rachelle Alkallay is a Montreal-based free-lance writer. 92 pp 7" x 4.25"